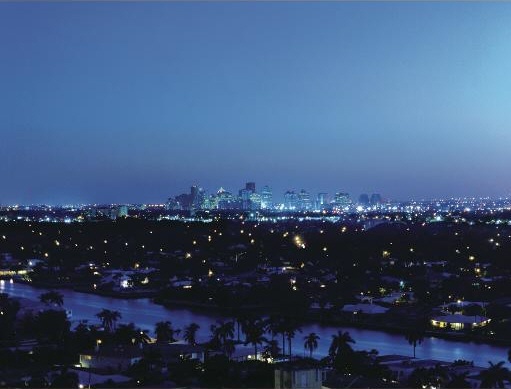 The Fort Lauderdale Sapphire condominium's pair of mid-rise (12 story) condominium towers are located amid lush tropical landscaping just steps away from Fort Lauderdale's famed sandy beach and offer beautiful ocean and Intracoastal Waterway views. 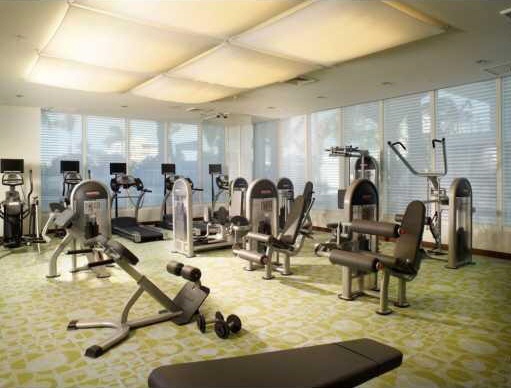 Amenities at The Sapphire condominium include a 25 meter pool and private cabanas on the beautifully landscaped sun deck, and a state-of-the-art fitness center with aerobic / yoga studio and men's and women's locker rooms with steam rooms, sauna and treatment rooms. 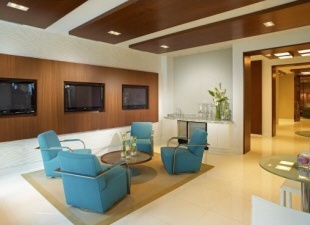 Sapphire's elegant condo club room includes a full kitchen and flat screen TV for private parties. 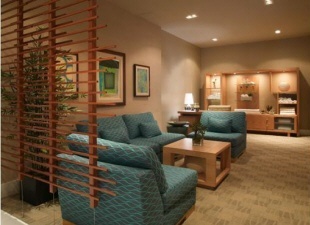 The business center provides conference rooms and a range of services including high speed internet access. 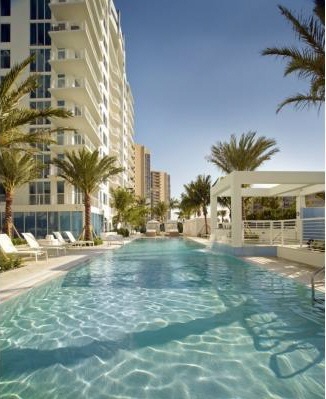 All 172 owners at the Sapphire luxury condominium (86 condominium units in each building) enjoy the carefree experience of a full range of services like a 24-hour attended lobby and valet parking, as well as a 24-hour resident concierge. 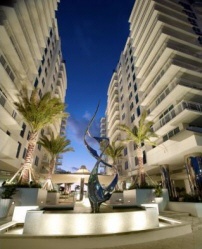 The Fort Lauderdale Sapphire condominium residences are all large. 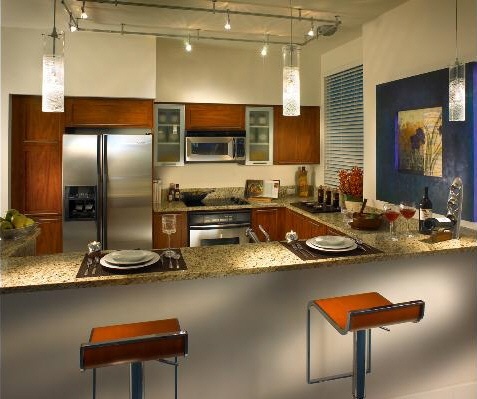 The smallest residence at the Sapphire condominium is a two-bedroom, two-bath with a generous terrace and a total of 1,456 square feet of living space. 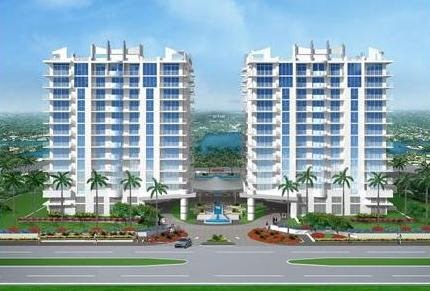 All Sapphire condominium homes include large balconies and oversize windows to make the best of Florida sunshine and stunning views. Many balconies wrap around two sides of the building, offering additional views along with sunrise and sunset views from your home. 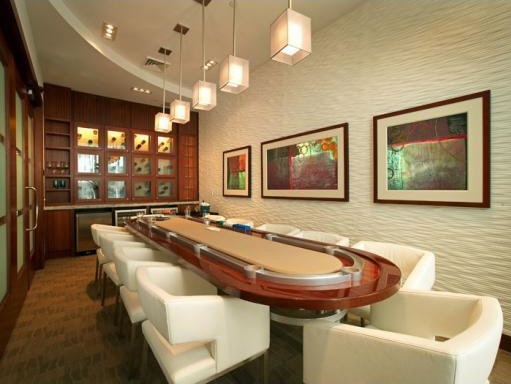 Open-plan kitchens are outfitted with granite countertops and backsplashes set on European style contemporary cabinets in your choice of finishes. 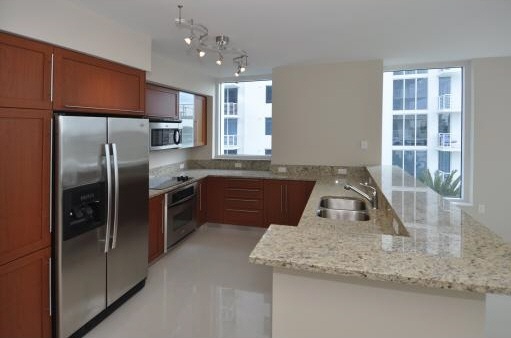 The side-by-side refrigerator, multi-cycle dishwasher, built-in microwave and self-cleaning oven and sinks are all stainless steel. Bathrooms are finished with marble floors and countertops, European style contemporary cabinets, soaking tubs, separate glass enclosed showers, and designer hardware. All Sapphire residences are equipped with full size stack style washer/dryers and secured with safety-sensor fire sprinkler systems. Heating and cooling systems are the latest in high efficiency technology and units are pre-wired for broadband internet access and TV, voice and data communication. Bedrooms and living rooms are pre-wired for ceiling fans. The Sapphire condominium is located along North Ocean Boulevard (known simply as A1A to locals) between Oakland Park Boulevard and Sunrise Boulevard in beautiful Fort Lauderdale. 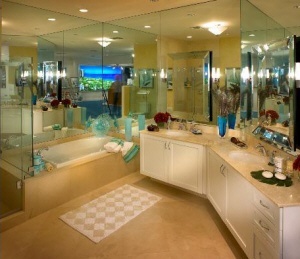 In addition to the amenities offered at Sapphire, owners will receive a membership to the Harbor Beach Marriott Resort & Spa included with the purchase of every residence. 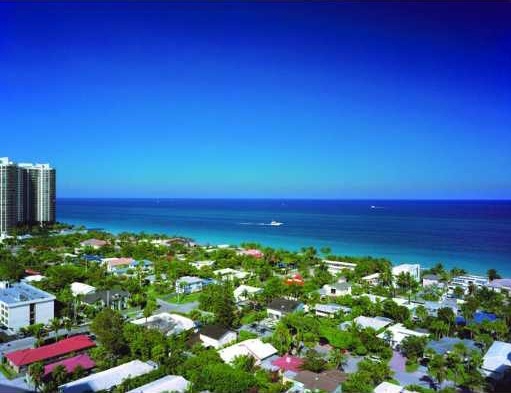 Located just four miles south on A1A, Harbor Beach offers Sapphire residents an exclusive beach club nestled on 16 sun-drenched oceanfront acres. 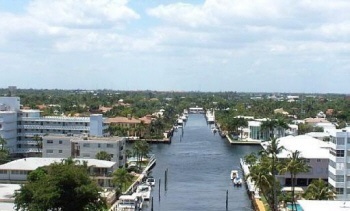 Marine - Just a short drive to Pier 66, Bahia Mar and other convenient full services marinas.